First and foremost, the game’s single player, multi-player, co-op and second screen all run at 60 FPS on all platforms, both current gen and next-gen. 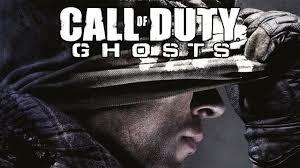 Ghosts features 7 new game modes, including Cranked (similar to TD, when you get a kill, you become faster, reload faster, but you gain a ‘countown clock’ that kills you unless you kill someone else in a certain time limit) and Search and Rescue (when you die, you drop a tag, if an ally picks it up you re-spawn, but if an enemy picks it up, you die). There are also 30+ new weapons and a new weapon class called “Marksman”, which bridges the gap between the Sniper class and the Assault class, giving you long range guns that can be used as scoped semi-automatic sniper rifles or as an iron-sight ranged weapon similar to the M1 in the original Call of Duty and COD 2. There are also 20 new kill streaks, and an all new animation system that will change they way the game looks from a character movement perspective. New movements including contextual leaning, knee slides and Mantling will allow the player to move around maps like never before. “Character customization in Ghosts gives you over 20,000 possible combinations, that allow you to personalize how you look and how you play the game like never before. [And the customization] is not just cosmetic, it’s not just about expressiveness, it leads to all new game play experiences as well, including the new ‘Squads’ mode.” We were shown the ability to choose the head, body type and head gear as well as countless other customization options, including the ability to play as a female soldier (insert IW’s Executive Producer Mark Rubin’s super creepy laugh here). “The world in multiplayer literally shifts beneath your feet with our first ever Dynamic Map Events, which makes the game more strategic, more challenging and more fun than ever before, [bringing] new meaning to the phrase, “I gotta learn the maps!” Up until now, that’s meant that you have to learn how the maps were laid out, now you have to learn what they can do, and what you can do to them to change the game, change the world and get the upper hand.” Maps are destructible, allowing players to blow up a wall to gain a new line of sight, or blow up a gas station to provide additional cover using part of the roof. Looks really cool, but its ability to be exploited has yet to be seen. There are also more perks, with each one having a set point value from 1 to 5. You have a total of 8 points to spend in each load out, so you must choose carefully. New kill streaks include Juggernaut Maniac, Hilo Scout, Vulture and Odin Strike, as well as Riley your guard dog (of course). Assault, support and Specialist strike packages return, and have been revamped to provide optimal efficacy. The UAV is not air-based anymore, but must be deployed on the ground, and it’s called the Sat-Com. There are also no more death streaks (hooray!). Also, as you play through and earn XP, you choose which items, kill streaks and perks to unlock, with no level restriction. Squads give you 10 separate members, each with their own load outs, prestige points and customization. Squads can be used solo, co-op or competitive. Your progress whether online or offline counts towards multi-player XP. Your squad mates act as they are equipped, snipers snipe, gunners run and gun, etc. You can also set up your squad, and map they will defend, and allow them to take on people online while you’re not even there, earning you multi-player XP. Picking the right squad members for the job is paramount, and this mode looks pretty fun. And lastly, Eminem revealed his new single, “Survival”, which sounded pretty good! Em also gave us a little speech, revealing that he may have a bigger part to play in the game yet. Let us know if you’re excited about COD multi-player in the comments!